THE BABYLON CONNECTION? shows that claims about Babylonian origins often lack connection, takes a closer look at the oft-quoted THE TWO BABYLONS by Alexander Hislop, and provides some much needed clarification on this subject. 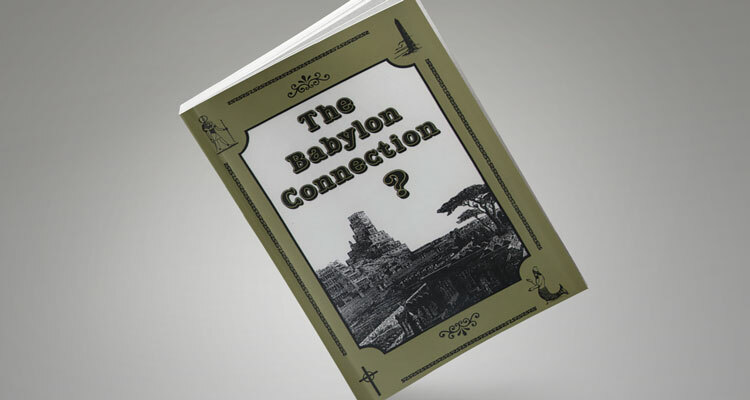 In a scholarly and understandable style, this book explains why Woodrow removed his very popular book BABYLON MYSTERY RELIGION from publication. According to the teaching made popular by Alexander Hislop, if we went back to the days of ancient Babylon, we would find people attending mass, partaking of a little round wafer, worshipping a cross, going to confession, being baptized with water for the remission of sins, burning wax candles, and bowing before a divine Mother and Child. We would notice that places of worship featured a tower. Priests, wearing a circular tonsure, dressed in black garments, would give those who died the last rites. With monks and nuns in abundance, the Babylonians would be practicing essentially all the rites that are known today in the Roman Catholic Church! According to Hislop, it all started with Nimrod and his wife Semiramis, thus the subtitle of THE TWO BABYLONS: “The Papal Worship Proved to Be the Worship of Nimrod and His Wife.” But, any historical information about Nimrod and Semiramis is sketchy, at best. One can check the articles on “Nimrod” and “Semiramis” in recognized reference works. Not one says anything about Nimrod and Semiramis being husband and wife! They did not even live in the same century! THE BABYLON CONNECTION? shows that claims about Babylonian origins often lack connection. Was Nimrod a deformed, ugly black man, and Semiramis a beautiful white woman with blue eyes and blond hair? Was She the originator of soprano singing and priestly celibacy? Was she the mother of Tammuz? Is the cross a symbol of Tammuz, the initial letter of his name? Are round communion wafers sun-symbols? Are candles, black clergy garments, the letters I.H.S., the fish symbol, halos, and church steeples of pagan origin? Does the Pope wear a crown with 666 on it? Was the papal mitre copied from the fish head of Dagon? Message from Ralph Woodrow regarding the former book, BABYLON MYSTERY RELIGION.